300,000 People Watch Every Time He Trains! 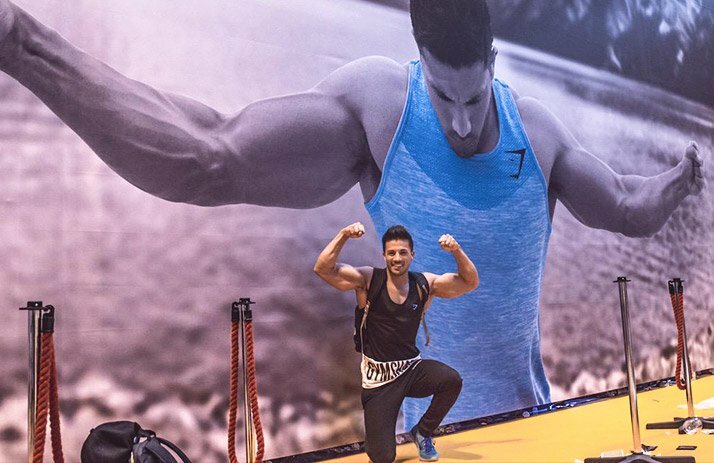 Meet one of the new kings of Internet fitness, Christian Guzman. He's living the life, lifting big, and letting everyone who wants to ride along for the adventure. Once upon a time, your fitness role model was someone in a photograph or a poster, and you had to scour magazines for more information about them. Today, you can just hop on YouTube and have instant access to a whole new generation of fitness role models—ones who share their daily regimens, thoughts, opinions, expertise, and entire lives with you through their carefully documented videos. What's a magazine? Among these prominent "fitness YouTubers," as they're sometimes called, a few are as widely recognized as Christian Guzman. Now for some of us, it's admittedly hard to look away from, well, Christian himself. But that's just the initial draw. 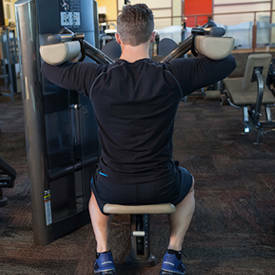 Through his hundreds of YouTube videos, he and a rotating cast of collaborators—including his YouTube-famous girlfriend, fitness model Nikki Blackketter (they also have a joint channel, CG&NIKKIBTV), his adorable dogs, and fitness cohorts such as Steve Cook and Maxx Chewning—collectively succeed in the unlikely task of making the daily grind of life as a fitness model look fascinating. I managed to catch up with Christian while he was in the midst of expanding his base of operations, CG Fitness, and gained a bit more insight into the man adored by over 300,000 (as of this writing) fans. Christian was a super-skinny kid throughout middle school and high school. 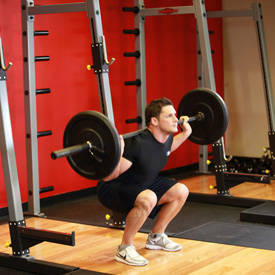 He didn't play any sports at the time, but weight training waltzed into his life and won him over on its own. In high school, he met a group of friends who came together every Monday, Wednesday, and Friday at a strength and conditioning camp. 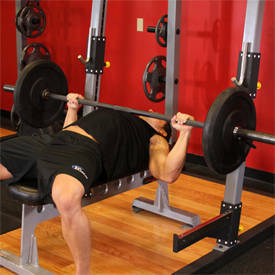 It was there that he fell in love with weight training. He learned the ins and outs of strengthening his body, but it was shortly after high school that he shifted into a muscle-building focus to reinvent himself. No longer did he want to be "that skinny kid in high school who played guitar." 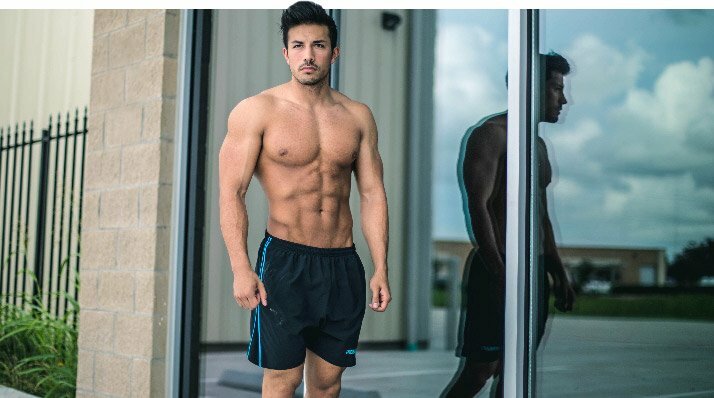 Among these prominent "fitness YouTubers," as they're sometimes called, a few are as widely recognized as Christian Guzman. Back during his quest to rebuild his image, he, too, looked to the YouTubers like Matt Ogus and Scott Herman for motivation, as well as workout ideas and tips. He remembers ordering a little camcorder in his first year of college and putting out videos in which he talked about his own nutrition, workout tips, and life in general—essentially the more personal style of video production most people know now as "vlogging." He wasn't an overnight success by any means, but in a few short years he rose to YouTube fitness prominence. Some people believe that big things happen in small ways. That decision to cobble together the money for a camcorder essentially ignited his young entrepreneurial life. For fun, I asked Christian what he would be doing instead if he hadn't bought that camera and started making YouTube videos. "I wanted to hold weekly training classes to train younger kids—middle schoolers, high schoolers, whoever—and pretty much take them through workouts. My goal was to open up a small facility and have my own space, but things just sort of got amplified when YouTube presented a larger platform," he says. He currently shows no signs of slowing down. At the time of this interview, he'd just finished a prep phase—which he documented in its entirety on his YouTube channel—for a show in Texas, all the while opening his personal warehouse and gym, launching his own clothing line, and still living life as a (shredded) dude in his 20s should. To his viewers and others who have aspirations of their own, perhaps one involving building a successful fitness brand, he says, "I think the biggest step is taking that first step. What if I hadn't ordered that Sony HandyCam? Ordering that camera literally changed my life, and a similar thing can happen to anyone else with whatever passion they are looking at." To those who don't get it, "YouTube famous" doesn't sound like a thing. But to those who do, it may as well be the only thing. Why? Because YouTube celebrities know how to give their fans what they want. And what they want is transparency. "I think people like following a journey," Christian says. "This is why it is so important to not only show your journey, but also to challenge yourself and focus on progressing." On the other hand, this transparency comes with a side effect: Regular YouTubers like Christian never get days off. "I try to show everything: the ups and the downs, successes and failures," he says. "I want to support my subscribers, and this makes me want to stay positive and be strong in making the right decisions and keep progressing. So, I think it is sort of a mutual benefit kind of thing." So, yes, while Christian doesn't quite disconnect his personal life from his online life, he likens his vlogs to reality television. "Instead of focusing on going to bars and drinking, I'd rather focus on trying to become a better version of [myself] and challenging [myself] to become better overall," he says. And when he does go to the bar, well, at least we're there with him. For a long time, Christian ate a very traditional bodybuilding-style diet: 6-8 meals a day, every couple hours, with limited food choices. Then he discovered flexible dieting. "Flexible dieting was a big turning point for me," he explains. "It completely changed my perspective on dieting, nutrition, and fitness in general." Other YouTubers I've previously written about also generally happen to be flexible dieters. Many who are new to (or critical of) this approach assume practitioners operate under the mindset of "How much junk food can I get away with and still lose weight?" But Christian disagrees. "That's not what flexible dieting is," he maintains. "It's about consuming about 85-90 percent of your total macronutrient intake from whole foods that contain plenty of vitamins and minerals. Then, you get about 10-15 percent of your daily calories from whatever you want." It's both what you need and what you want—and just enough of both. "Flexible dieting was a big turning point for me," (Christian) explains. "It completely changed my perspective on dieting, nutrition, and fitness in general." But what does it look like in action? A typical day of eating for Christian depends on his goals and those macronutrient targets, although he also prioritizes adequate fiber, his EPA/DHA requirements, 2-3 servings of fruits, and 2-3 servings of veggies per day. His staple foods include chicken, oatmeal, asparagus, broccoli, strawberries, blueberries, raspberries, spinach, 96/4 lean ground beef, and whey protein. Christian also gets his grub on at a restaurant quite often—in fact, once a day most days. "Typically this meal is something like Subway, Chipotle, or IHOP," he says. "To track those meals, I look up the nutrition facts online before going into the restaurant, so I always know exactly what I'll be eating before I step in. Planning is key." Not surprisingly, Christian's cheat meals also come from restaurants. When I asked him his favorite, he didn't hesitate. "I can definitely call up my local Papa John's and get a thin crust pepperoni pineapple pizza with a cookie cake on the side." Grilled chicken breast: 10.5 oz. 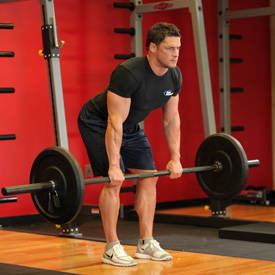 Christian's lifting schedule has been the same for a while: pull day, leg day, push day, shoulder day, off, and repeat. 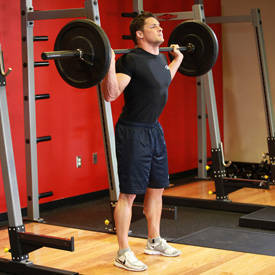 When he gets a gym session in, he's typically in the gym for an hour and a half on average. 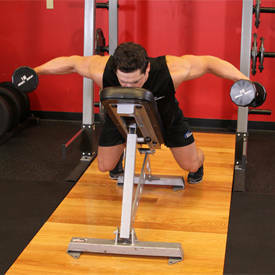 He tends to spend the bulk of his time on his compound strength movements to build his strength, but always saves room for some bodybuilding-style training in the latter half of his workout. 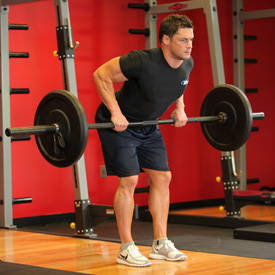 Christian's lifting schedule has been the same for a while: pull day, leg day, push day, shoulder day, off, and repeat. 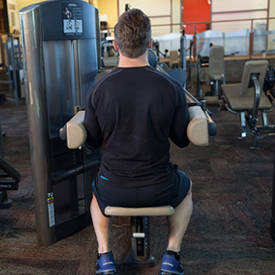 "Chest exercises like the bench press have always been my strongest movement, so I really like pushing myself in that to see how high I can get with my body weight," says Christian.